It’s inevitable that at some point, your business or organization will face a crisis. You can’t predict it, you don’t know what or how it will happen – but you better be ready to communicate about it. 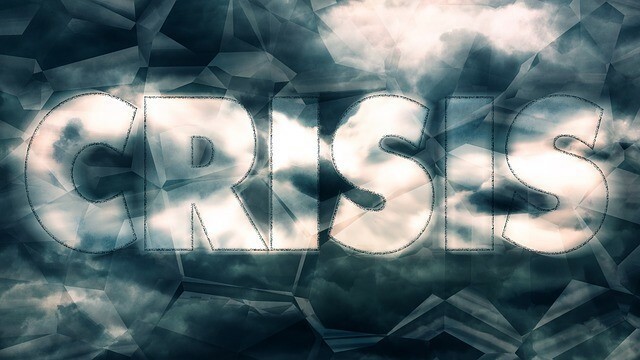 A crisis can take any number of forms – a cyber attack on your IT infrastructure, a fire, an unexpected management change – you just don’t know. I recently was reminded of the importance of crisis communications when a Nor’easter dumped several inches of snow in the middle of the day and I was at the receiving (or, to be honest, non-receiving) end of communication from our school district. Normally, our school district is a little too good at communicating – I get email blasts about fundraisers, voice mails about special events, newsletters from school, even text alerts– it’s a regular barrage of information. But when the weather went bad, it was evident that our school district did not have an established crisis communication plan. The decision was made to close the schools two hours early – and the information was sent out via text and email. Great. And then it wasn’t. The roads were treacherous and buses were delayed. But there were no status updates. Calls to school offices went immediately to voice mail. Parents had no idea if their children were on a bus or still at school. My children ended up getting home at approximately the same time they get home on a normal day. The two hours I waited for information were nerve-wracking. The only information I found was on Facebook – from other parents posting in reply to the school district’s initial closing post. Once my children were home safely, my communications “Spidey-sense” started to tingle. I realized not only did our school not have a plan, but the entire school district had no established communication protocols in place in the event of an emergency. From what I read on Facebook, some principals were incredibly pro-active with outreach. Unfortunately, that wasn’t the case from our school. The communication should have been clear and consistent across every school in the district. And in the case where the safety of children is involved – there’s no such thing as too much information. It’s not that the school district didn’t have the tools to communicate … they didn’t have the procedure. Here is what I plan to recommend to our superintendent in the event of another unsuspecting weather event (or worse). Send a blast communication from the superintendent announcing the school dismissal and anticipated schedule. In the event the schedule is delayed, school principals send targeted voice/emails to parents informing them of current school status, the location of the children, and the updated schedule. Once buses leave the school, principals send another update alerting parents to bus departures. When the last bus returns from bringing the last child home, the superintendent sends a final status report. Of course, during this time – social media should be active with updates as events occur –it’s a fast, effective way to get a message out. If this recent event reminds me of anything, it’s the importance of having a solid crisis communications plan in place BEFORE a crisis occurs. Establishing a message cascade, assigning targeted messages from key spokespeople, and follow-up will get your information to the people who need to receive it. People who will be grateful for your efforts and who won’t be filling your email and voicemail boxes with frustrated, angry messages once the crisis has passed.